With the right mascara, one coat does absolute wonders to twiggy little eyelashes like mine. But there are sooo many to choose from! Xtra Length this, Boom Volume that, Curl Friend bla bla bla – cheesy pretend names aside, what are the best mascaras for beautiful, big lashes? Enter two of the biggest mascaras on the market in terms of reputation and lash-enhancing ability. 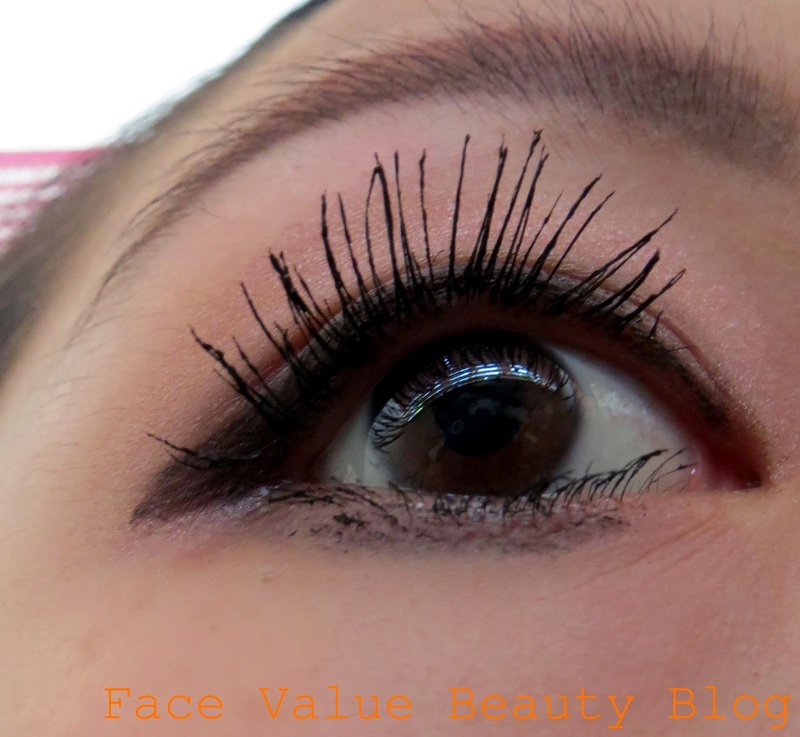 Le Volume De Chanel and Benefit They’re Real mascara. Two lash leviathons who had some great reviews over the last year and I WANT ONE! I don’t normally spend over £10 on a mascara and these both retail at about £20 so naturally, I got a sample size first! Always try before you buy – cordial rule of shopping smart. We have the infamous They’re Real! 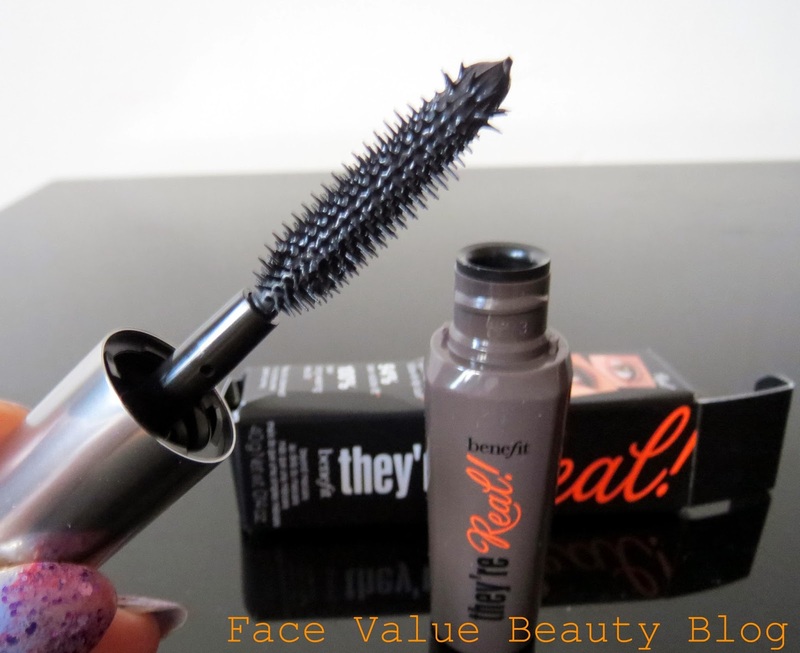 mascara by Benefit. Designed to lengthen, curl, volumise, lift AND separate – is there nothing this mascara can’t do? 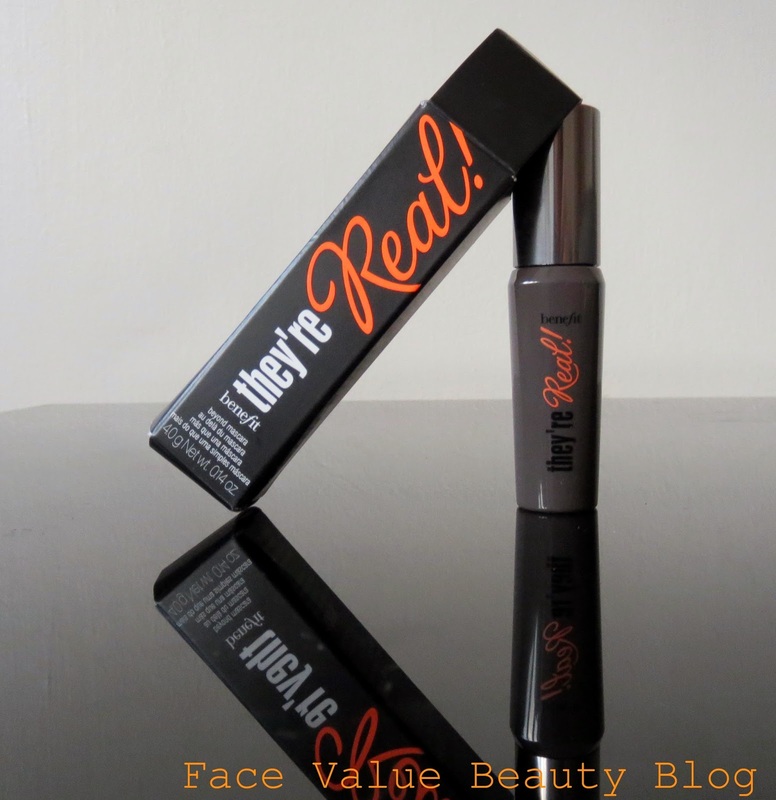 Benefit’s They’re Real is very very black and it doesn’t crumble later in the day. The consistency is almost plasticy, like melted vinyl, and it stretches with your wand strokes. This Benefit mascara builds very easily on itself which means you can create super LONG lashes in a few carefully placed coats. One small problemo – They’re Real builds easily on itself which gives unbelievable length but if you don’t leave the coats to dry, They’re Real will stick to itself meaning you could end up with clumpy lashes! Face Value Tip: I tend to apply one coat and then focus just on the ends to add length. 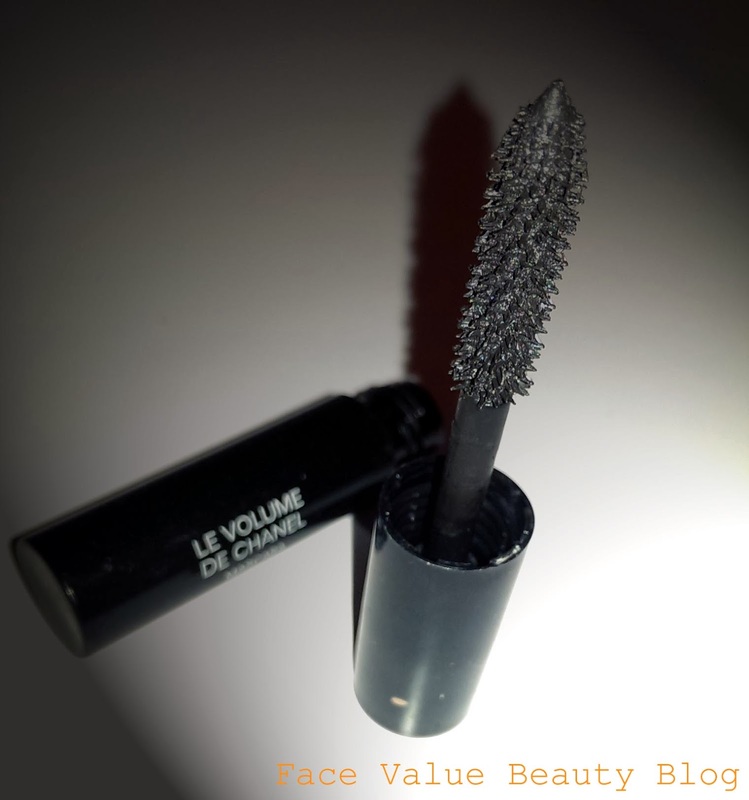 It’s the luxurious, glamorous, Le Volume De Chanel mascara! Bringing you intense volume and intense curl, this Volume De Chanel is a great, quick-drying mascara for serious impact! This is much lighter on the lashes than They’re Real – the volume is slightly more even through the lash and because it doesn’t overweight the lashes, it holds the curl better. CONTENDERS READY? 3.2.1. THE LIDS ARE OFF! Both They’re Real! and Le Volume De Chanel have silicone/rubber wands which provide great volume, separation and definition. Both are buildable, but They’re Real! builds a lot easier on itself so the length is a big winner. If you’ve got time to coat individual lashes, you can get some great results. However, They’re Real! 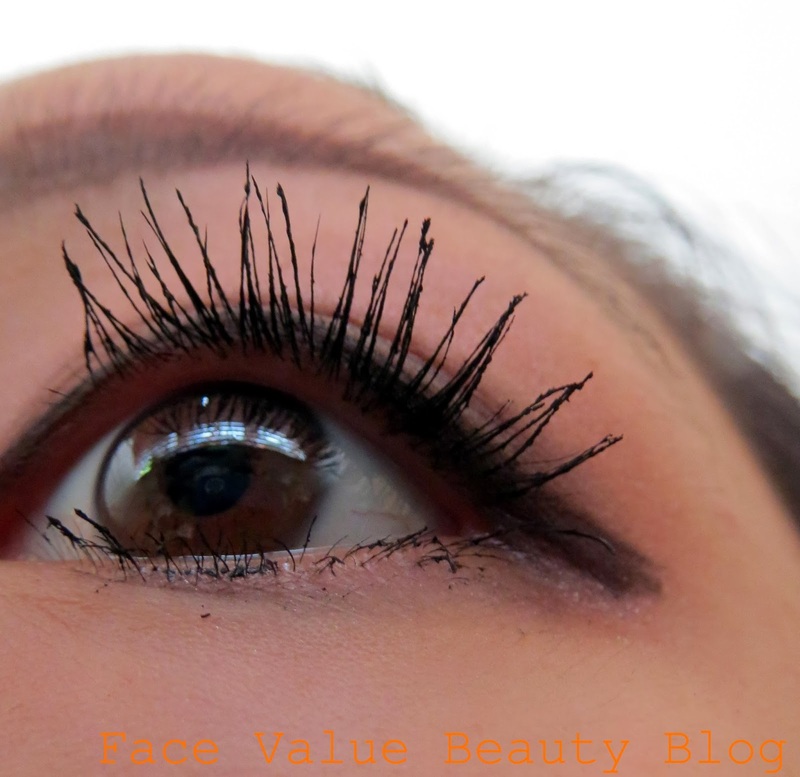 will clump if continually applied all over the lashes without any drying stages. It’s also fairly heavy in consistency and tends to reduce the hard work from my curlers. I didn’t experience any intense curl with either of them. Rimmel Bold Curves is still a winner in that field. As you can see, ultimately, there’s not really thaaaaat much noticeable difference. This brings it down to ease of application and price. I really like the They’re Real! wand. It’s a bit less bulky than Le Volume De Chanel PLUS it has a spiky ball on the end like the L’Oreal Telescopic Explosion Mascara. Once you use the main body to bulk up and lift your lashes, use the end to add small details and load extra length on the tips. Who is the overall winner? They’re both very similar ultimately but for the price, the wand and the amazing length-boosting ability…. it’s gotta go to They’re Real! Don’t get me wrong – Le Volume is great too, but it’s pretty similar (albeit a titch lighter) and £24 is a bit much for my bank balance! Have you tried either of these? Which would you go for? What do you look for in a mascara? Is it length or volume or definition?